A popular gated community since its completion in 2001, the village of Pepper Tree at Fiddler’s Creek offers more than just stylish single-family villas to call home. It also offers easy access to some of the best amenities Fiddler’s Creek has to offer. 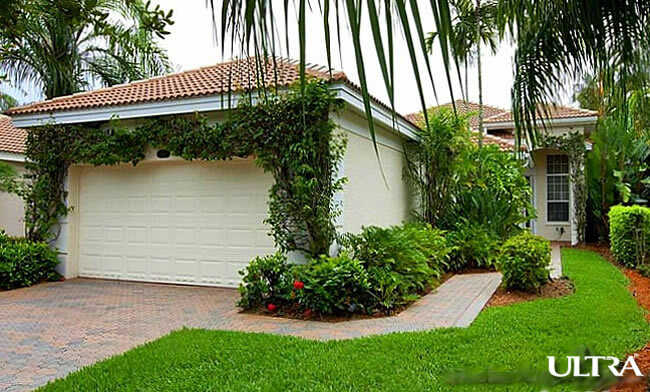 Sited in the southwestern corner of the Fiddler’s Creek community, the Pepper Tree community is close to Collier Boulevard, the main route to the shopping haven of Naples, as well as the hub of local activity at the Fiddler’s Creek Club & Spa. Golfers can look forward to a round at the Creek Course, while nature lovers can enjoy strolls and wonderful views over the Marsh Point Nature Preserve, with the preserve park just a short distance from their Pepper Tree family home. Completed in 2001, the Pepper Tree community is a residential enclave just off Fiddler’s Creek Parkway comprising a total of 16 superb single-family homes, built in a charming classical Mediterranean architectural style. Pepper Tree family homes are expertly finished, with spacious living spaces, gourmet kitchens and covered patios. Cambridge is a 1-story home covering a total area of 2,755 sq ft, with 3 bedrooms, 2 bathrooms, spacious living and family rooms, large covered patio, and 2-car garage included in the floor plan. Lexington is a 1-story home covering a total area of 2,474 sq ft, with 3 bedrooms, 2 bathrooms, spacious living area, covered patio, and 2-car garage included in the floor plan. Dorchester is the largest Pepper Tree family home. A 2-story home, it covers a total area of 3,037 sq ft, with 4 bedrooms, 3 bathrooms, spacious living and family rooms, covered patio, and 2-car garage included in the floor plan. For all the information on the current listings available in Pepper Tree at Fiddler’s Creek and life in the Pepper Tree community, just scroll down. Then give us a call to make it happen..